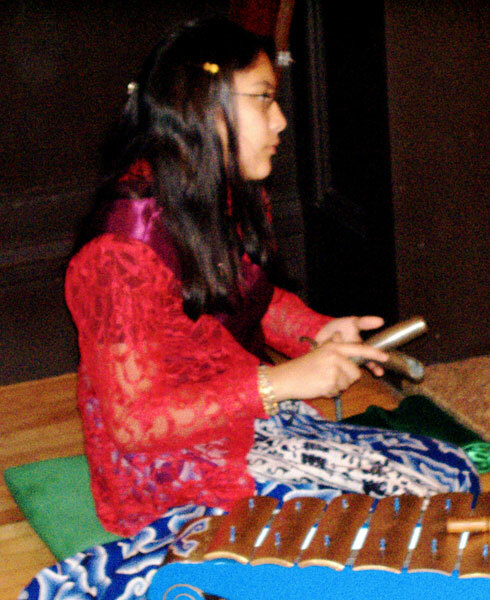 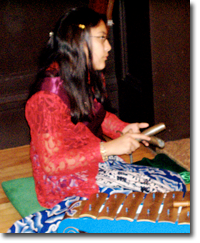 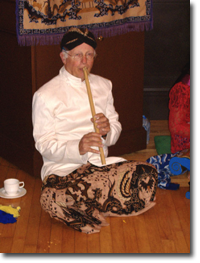 GSS performing Degung music from Sunda 12-13-09 with suling by Donn Howell and vocals by Vickie Schlegel. 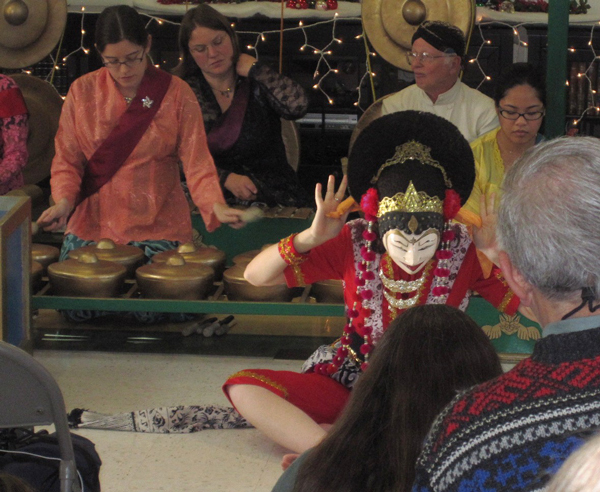 Visiting artist Eru Rukandi dancing on Dec 13th. 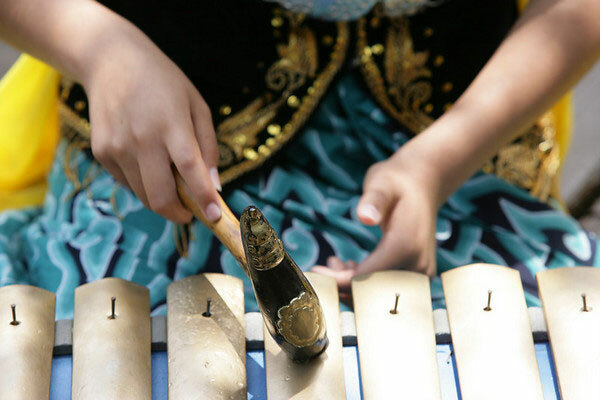 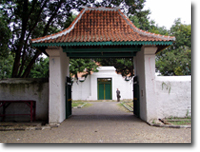 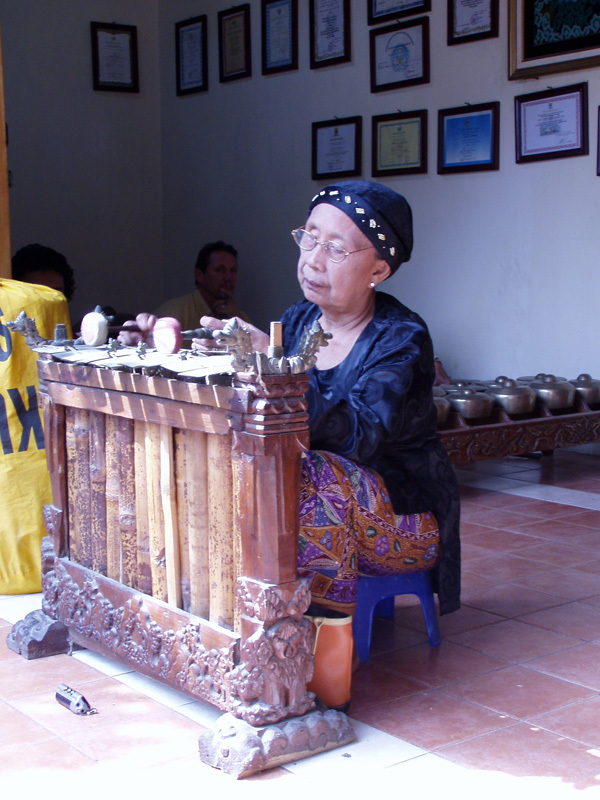 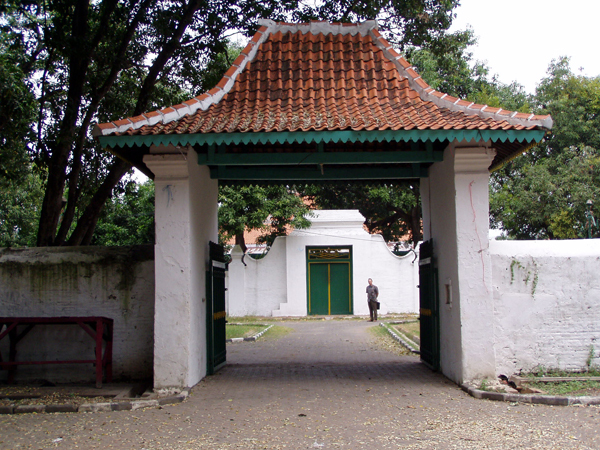 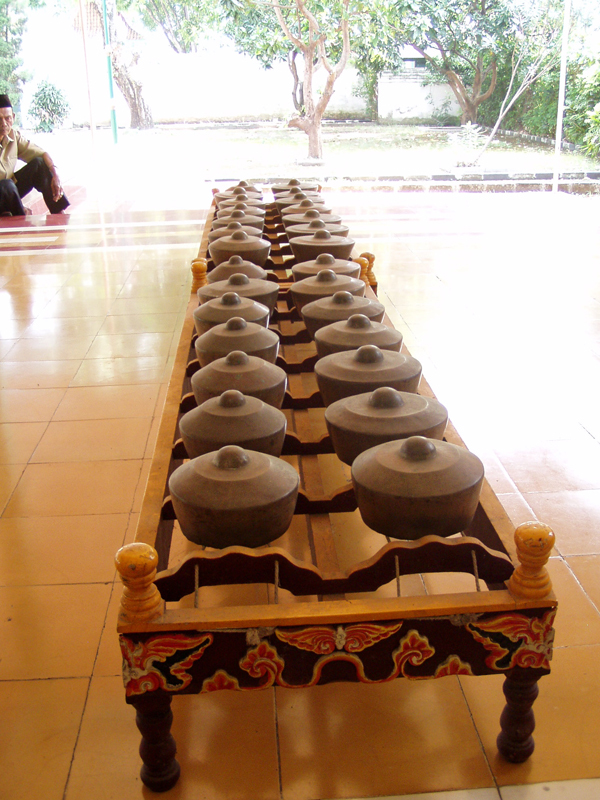 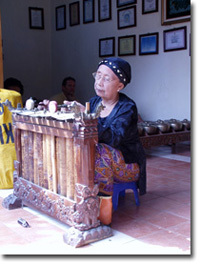 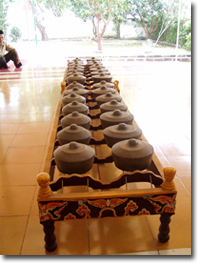 Gamelan Pelog music from Cirebon. 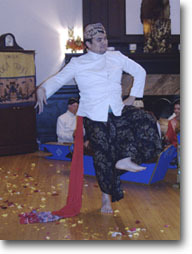 Anna Rukandi dancing Topeng Samba from Cirebon. 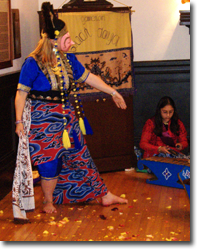 Anna dancing Topeng Kelana with Eru playing Kecrek. 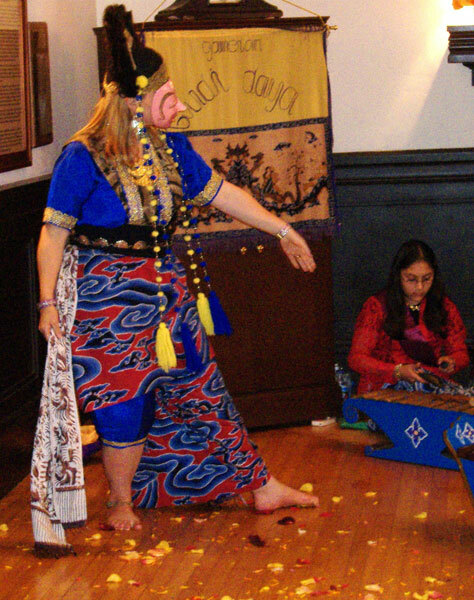 Anna dancing Kelana with Vickie playing Bonang. 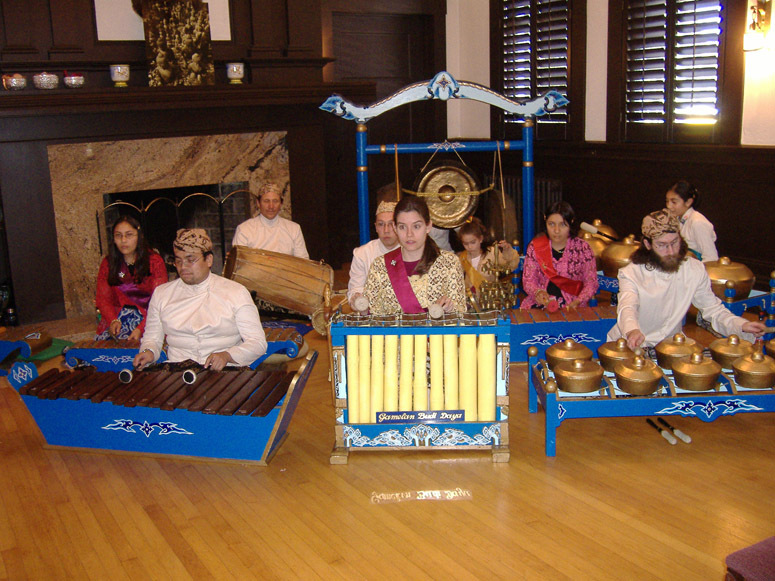 Members of Gamelan Sinar Surya in formal Javanese dress performing on our Prawa (5-tone) Gamelan. 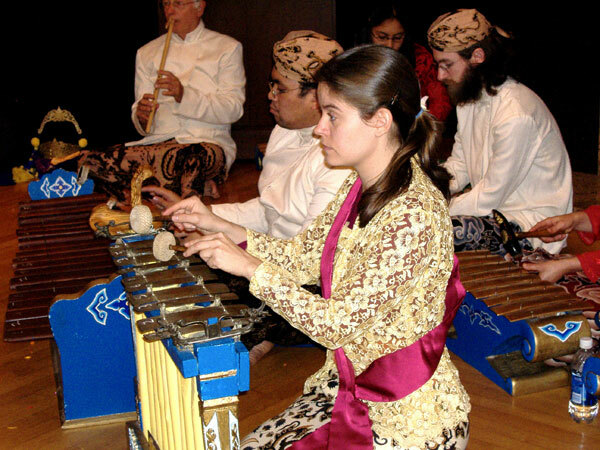 Vickie Schlegel playing our 180-year-old Cirebon Gender. 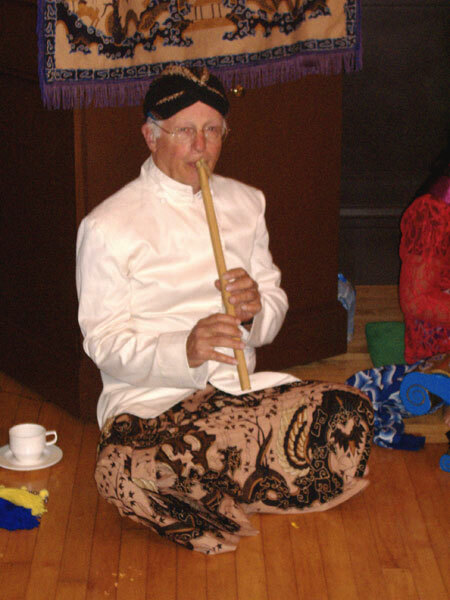 Donn Howell playing Suling (flute). 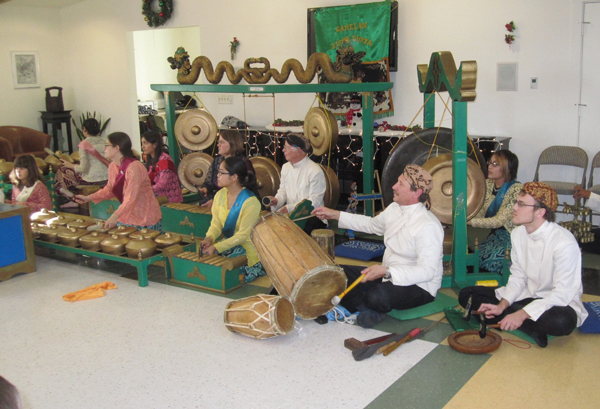 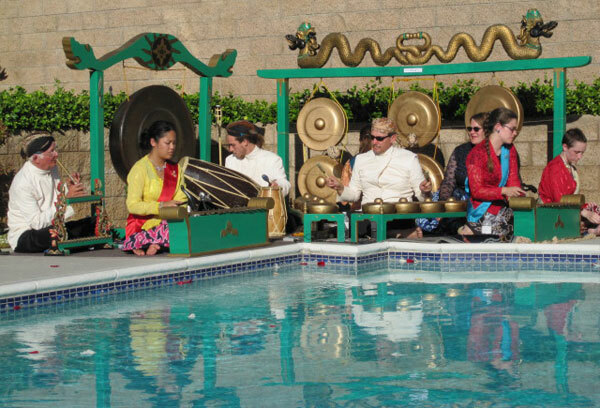 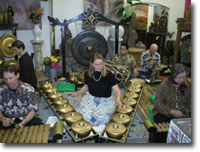 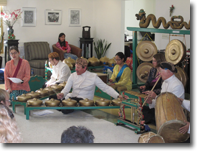 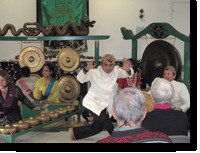 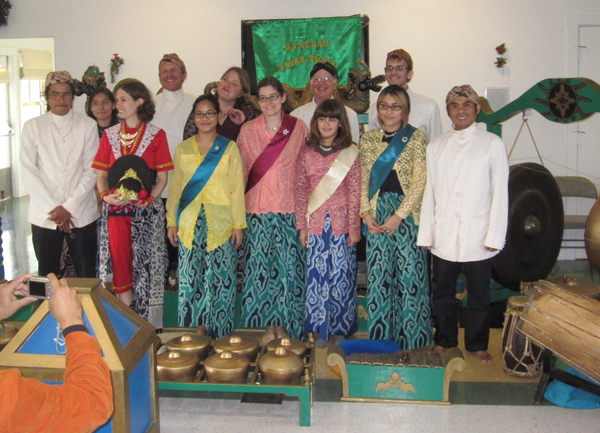 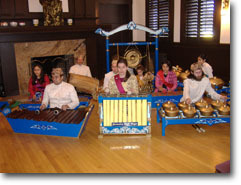 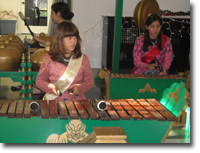 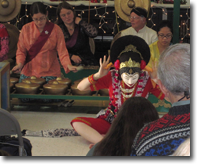 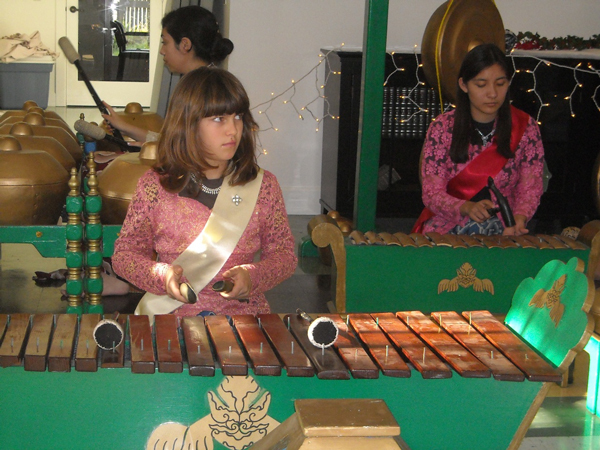 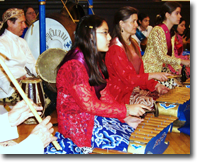 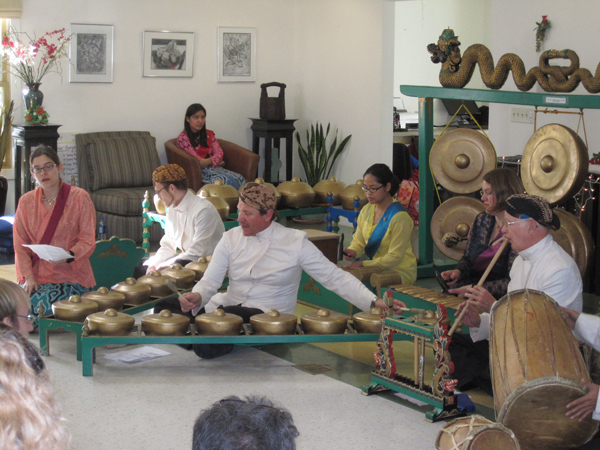 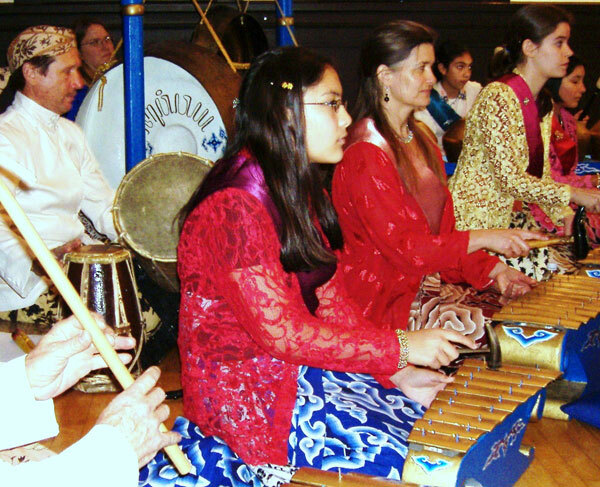 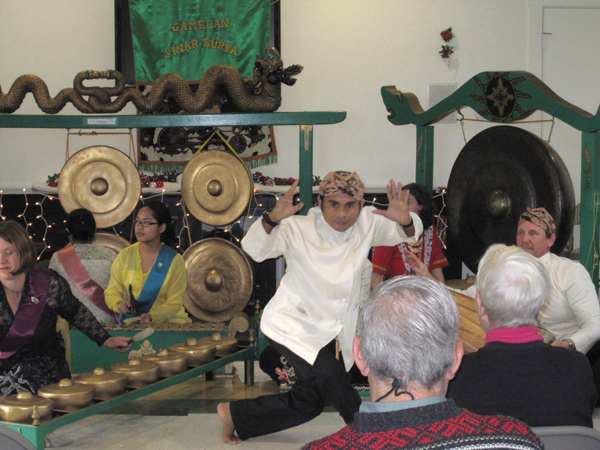 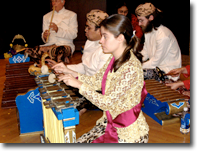 Members of Gamelan Sinar Surya in informal dress performing in Santa Barbara on our Pelog (7-tone) Gamelan. 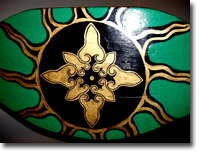 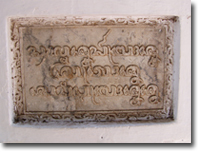 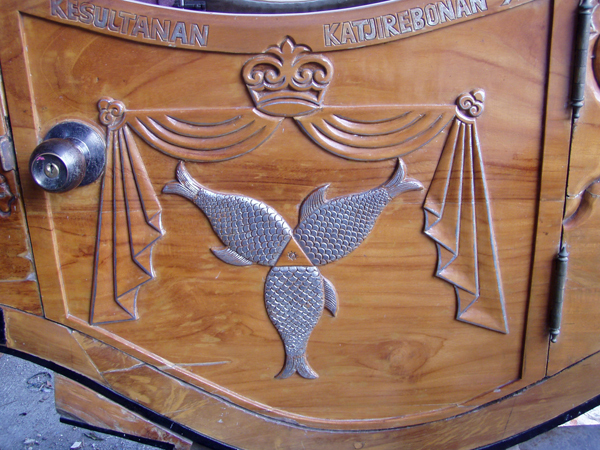 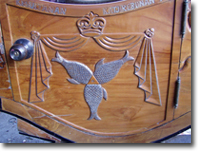 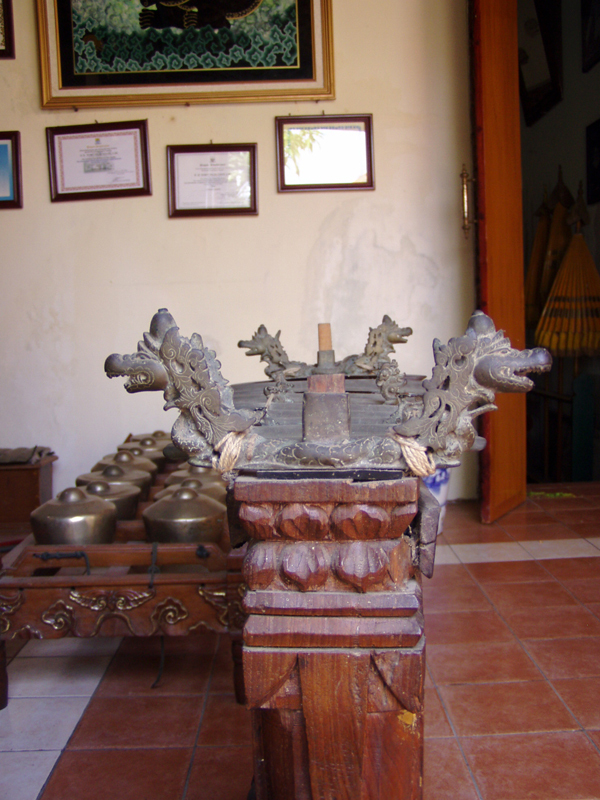 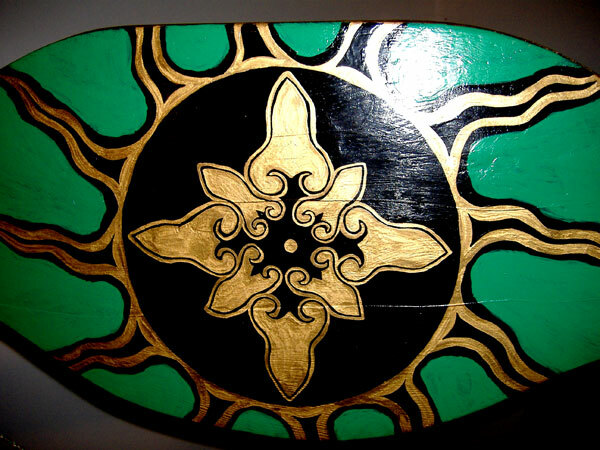 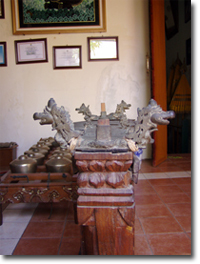 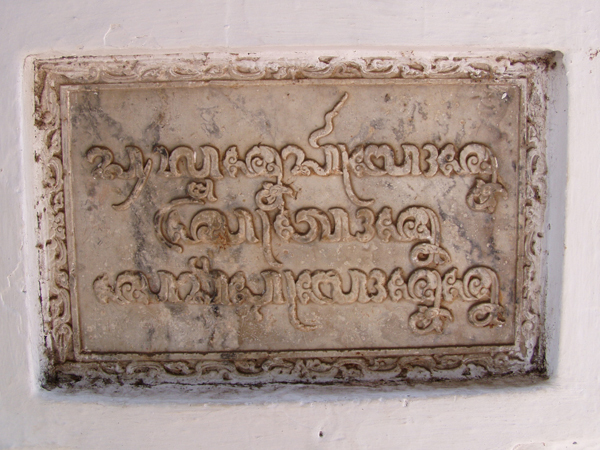 Sinar Surya (“Rays of the Sun”) symbol on gong stand of our Pelog Gamelan. 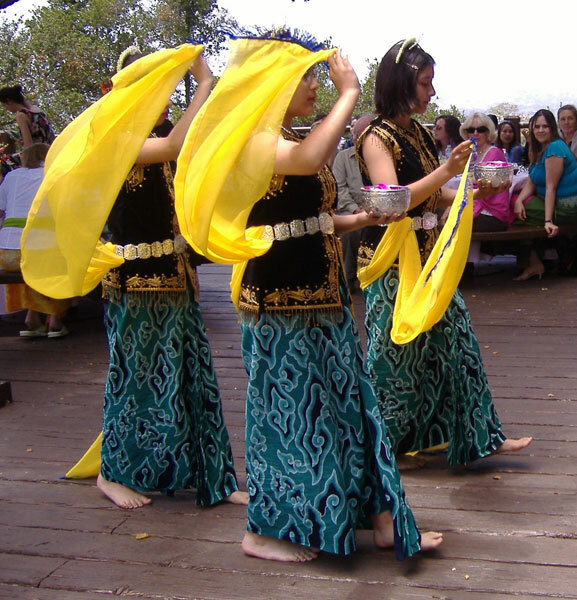 Degung performance at wedding in Yucaipa. 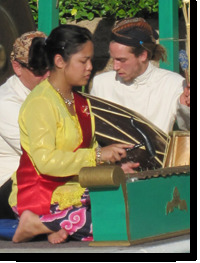 Leeza Bautista playing Peking Degung and Michael Marks on Kendang. 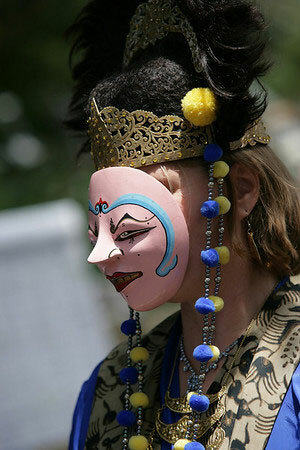 Felicia Danon North dancing traditional Topeng Rumyang Dance in Santa Barbara. 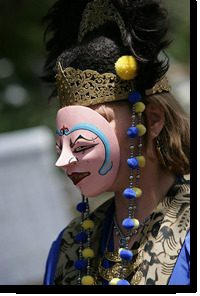 Close-up of Topeng Rumyang mask. 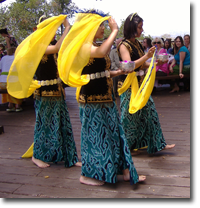 Michelle Bobadilla, Nayelhi Ramirez and Margaret Ramirez performing “Tabur Bunga” dance from Kacirebonan Palace. 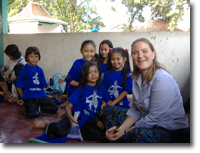 Felicia Danon North with young Topeng dance students at Kacirebonan. 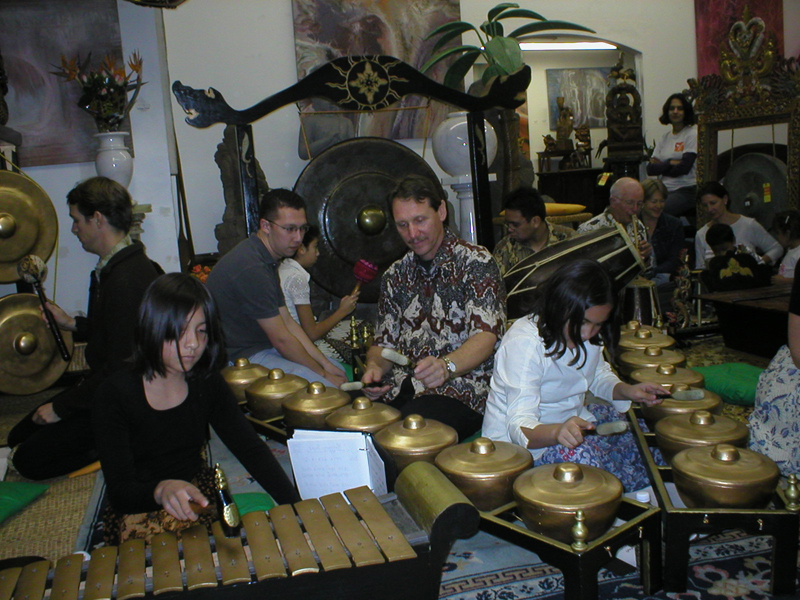 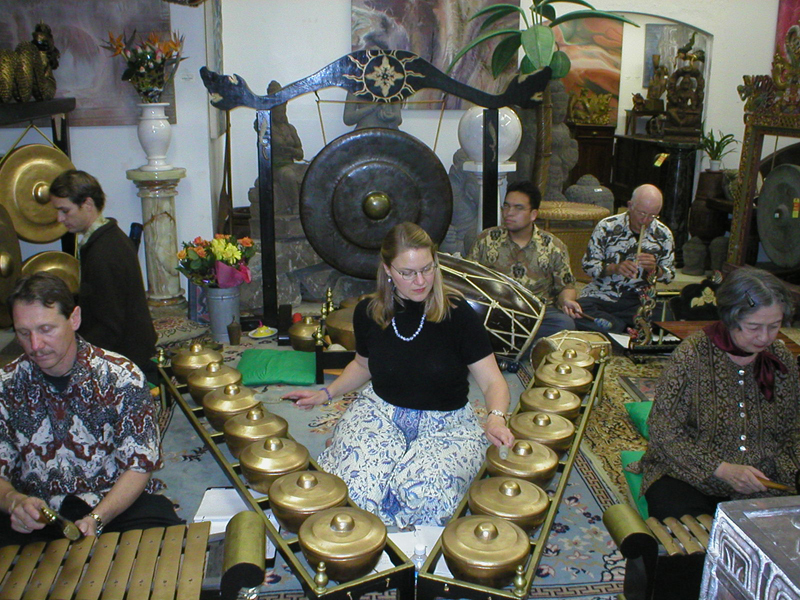 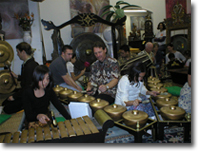 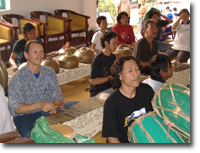 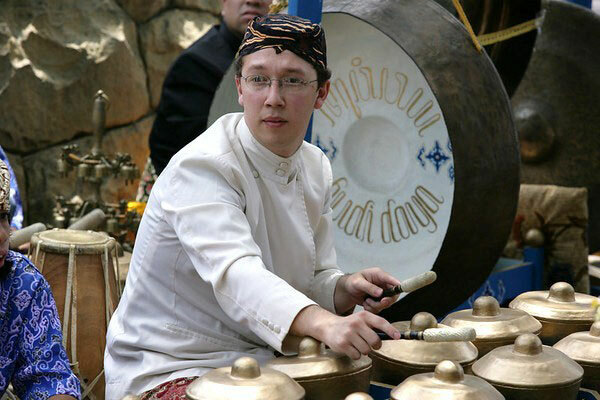 Richard North in Gamelan practice at Kacirebonan. 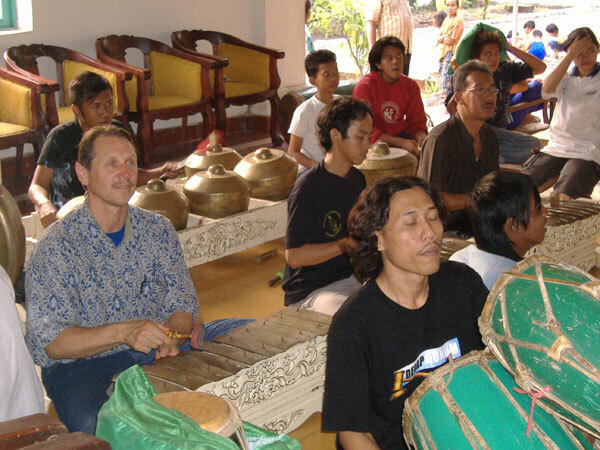 Drummer in foreground is Topeng dance master Mas Inu Kertapati. 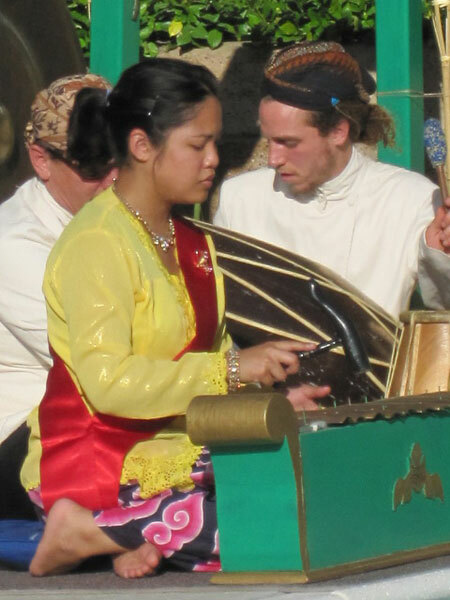 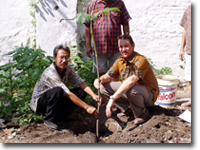 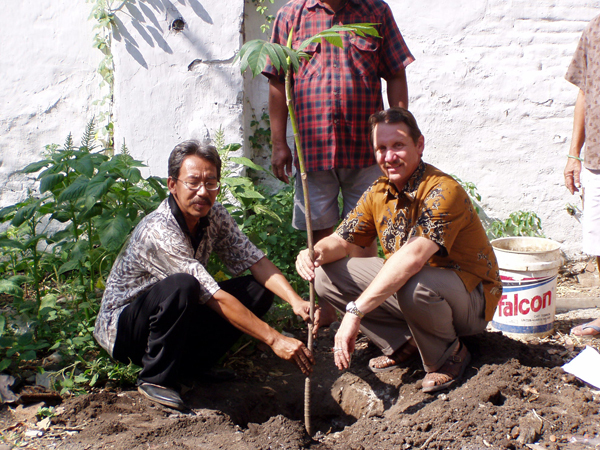 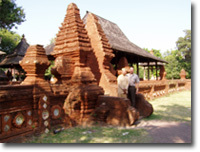 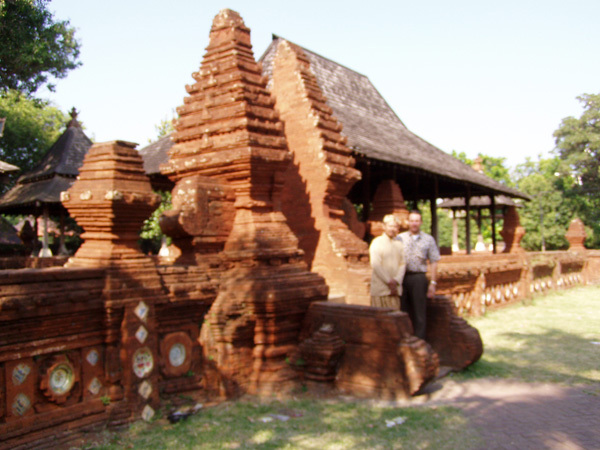 Richard showing Cirebon Gender technique to Elang Inggo at Kacirebonan, while palace Dalang (shadow puppeteer) Ki Kurnadi looks on. 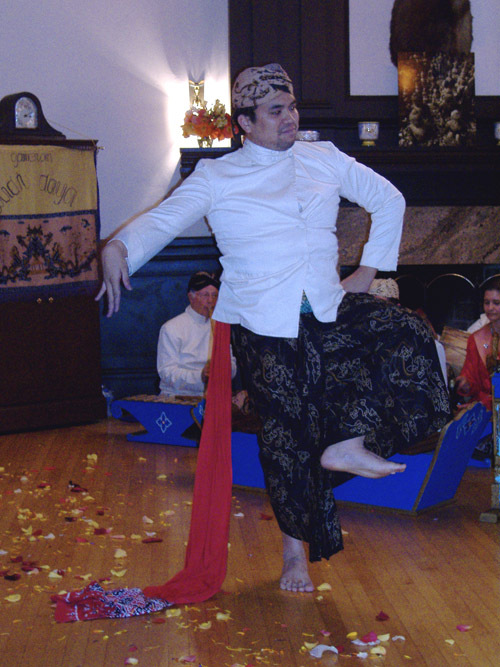 Felicia studying dance with Mas Tomi Uli at Kacirebonan Palace.